Creative Thinking is a way of looking at problems from a new perspective, suggesting unconventional solutions (which may look unsettling at first). Unlike Critical Thinking – which is more judgmental in nature, and is practiced during analysis when a critical decision has to be taken in a short span of time, creative thinking is more relaxed as it is practiced by brainstorming or mind-mapping various ideas from multiple people, to reach an experiential yet feasible solution. Creative thinking techniques help in stimulating original ideas. New ideas occur when two or more ideas are accidentally or deliberately merged, provided they have never been merged before and in ways which you would not normally come across or think about. 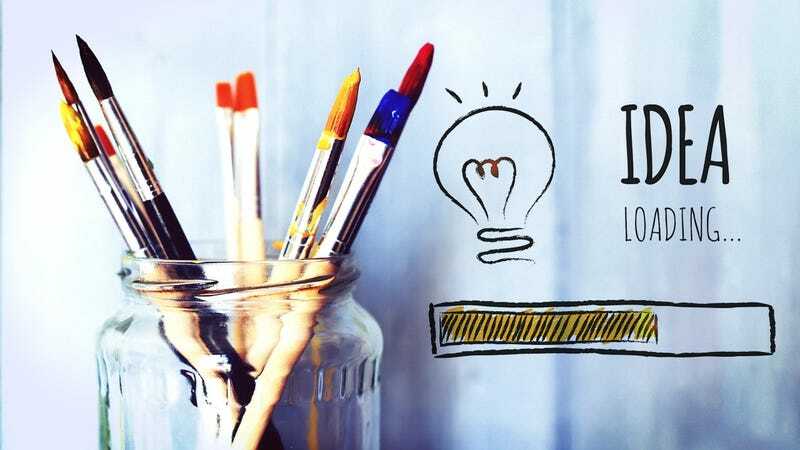 Two of the most widely used Creative Thinking techniques are – Brainstorming and Mind Mapping. Brainstorming is a combination of a calm, informal approach to problem solving, and lateral thinking. It encourages people to generate thoughts and ideas that can, at first, seem a bit irrational. Some of these ideas can be shaped into original, creative solutions, while others can trigger even more ideas. This helps to get people freed by "jolting" them out of their normal ways of thinking. Therefore, during brainstorming sessions, people should avoid critiquing or gratifying ideas. One must try to open up possibilities and break down incorrect assumptions about the problem's limits. Judgment and analysis at this stage can exploit idea generation and limit creativity. Ideas should be evaluated at the end of the session – this is the time to explore solutions further, using conventional approaches. At times while brainstorming, we may find ourselves caught up with pages of information, but no clear idea of how they fit together. This is where Mind Mapping can help you. A Mind Map is a powerful graphic technique which provides a universal key to unlock the potential of the brain. It harnesses the full range of cortical skills (using the cerebral of the brain) – word, image, number, logic, rhythm, color and spatial awareness – in a single, uniquely powerful manner. The idea is to write the topic of the problem or the subject in the centre, and subsequently adding the supporting ideas further. Hence, it gives you the freedom to roam the infinite expanses of your brain. The Mind Map can be applied to every aspect of life where improved learning and clearer thinking will enhance human performance. An Act of God or Man Made Corruption?